Not to be confused with French colonial empire. The Second French Empire (French: Le Second Empire Français), officially the French Empire (French: Empire Français), was the regime of Napoleon III from 1852 to 1870, between the Second Republic and the Third Republic, in France. Historians in the 1930s and 1940s often disparaged the Second Empire as a precursor of fascism. That interpretation is no longer promulgated and by the late 20th century they were celebrating it as leading example of a modernizing regime. Historians have generally given the Empire negative evaluations on its foreign-policy, and somewhat more positive evaluations of domestic policies, especially after Napoleon liberalized his rule after 1858. He promoted French business and exports. The greatest achievements came in material improvements, in the form of a grand railway network that facilitated commerce and tied the nation together and centered it on Paris. It had the effect of stimulating economic growth, and bringing prosperity to most regions of the country. The Second Empire is given high credit for the rebuilding of Paris with broad boulevards, striking public buildings, and very attractive residential districts for upscale Parisians. In international policy, Napoleon III tried to emulate his uncle, engaging in numerous imperial ventures around the world as well as several wars in Europe. Using very harsh methods, he built up the French Empire in North Africa and in Southeast Asia. Napoleon III also sought to modernize the Mexican economy and bring it into the French orbit, but this ended in a fiasco. He badly mishandled the threat from Prussia, and by the end of his reign, Napoleon III found himself without allies in the face of overwhelming German force. On 2 December 1851, Louis-Napoléon Bonaparte, who had been elected President of the Republic, staged a coup d'état by dissolving the National Assembly without having the constitutional right to do so. He thus became sole ruler of France, and re-established universal suffrage, previously abolished by the Assembly. His decisions were popularly endorsed by a referendum later that month that attracted an implausible 92 percent support. At that same referendum, a new constitution was approved. Formally enacted in January 1852, the new document made Louis-Napoléon president for 10 years, with no restrictions on reelection. It concentrated virtually all governing power in his hands. However, Louis-Napoléon was not content with merely being an authoritarian president. Almost as soon as he signed the new document into law, he set about restoring the empire. In response to officially inspired requests for the return of the empire, the Senate scheduled a second referendum in November, which passed with 97 percent support. As with the December 1851 referendum, most of the "yes" votes were manufactured out of thin air. The empire was formally re-established on 2 December 1852, and the Prince-President became "Napoléon III, Emperor of the French". The constitution had already concentrated so much power in his hands that the only substantive changes were to replace the word "president" with the word "emperor" and to make the post hereditary. The popular referendum became a distinct sign of Bonapartism, which Charles de Gaulle would later use. With almost dictatorial powers, Napoleon III made building a good railway system a high priority. He consolidated three dozen small, incomplete lines into six major companies using Paris as a hub. Paris grew dramatically in terms of population, industry, finance, commercial activity, and tourism. Working with Georges-Eugène Haussmann, Napoleon III spent lavishly to rebuild the city into a world-class showpiece. The financial soundness for all six companies was solidified by government guarantees. Although France had started late, by 1870 it had an excellent railway system, supported as well by good roads, canals and ports. Napoleon, in order to restore the prestige of the Empire before the newly awakened hostility of public opinion, tried to gain the support from the Left that he had lost from the Right. After the return from Italy, the general amnesty of August 16, 1859 had marked the evolution of the absolutist or authoritarian empire towards the liberal, and later parliamentary empire, which was to last for ten years. The idea of Italian unification – based on the exclusion of the temporal power of the popes – outraged French Catholics, who had been the leading supporters of the Empire. A keen Catholic opposition sprang up, voiced in Louis Veuillot's paper the Univers, and was not silenced even by the Syrian expedition (1860) in favour of the Catholic Maronite side of the Druze–Maronite conflict. Ultramontane Catholicism, emphasizing the necessity for close links to the Pope at the Vatican played a pivotal role in the democratization of culture. The pamphlet campaign led by Mgr Gaston de Ségur at the height of the Italian question in February 1860 made the most of the freedom of expression enjoyed by the Catholic Church in France. The goal was to mobilize Catholic opinion, and encourage the government to be more favorable to the Pope. A major result of the ultramontane campaign was to trigger reforms to the cultural sphere, and the granting of freedoms to their political enemies: the Republicans and freethinkers. The Second Empire strongly favored Catholicism, the official state religion. However, it tolerated Protestants and Jews, and there were no persecutions or pogroms. The state dealt with the small Protestant community of Calvinist and Lutheran churches, whose members included many prominent businessmen who supported the regime. The emperor's Decree Law of 26 March 1852 led to greater government interference in Protestant church affairs, thus reducing self-regulation. Catholic bureaucrats both misunderstood Protestant doctrine and were biased against it. The administration of their policies affected not only church-state relations but also the internal lives of Protestant communities. Napoleon III manipulated a range of politicized police powers to censor the media and suppress opposition. Legally he had broad powers but in practice he was limited by legal, customary, and moral deterrents. By 1851 political police had a centralized administrative hierarchy and were largely immune from public control. The Second Empire continued the system; proposed innovations were stalled by officials. Typically political roles were part of routine administrative duties. Although police forces were indeed strengthened, opponents exaggerated the increase of secret police activity and the imperial police lacked the omnipotence seen in later totalitarian states. Napoleon began by removing the gag which was keeping the country in silence. On November 24, 1860, he granted to the Chambers the right to vote an address annually in answer to the speech from the throne, and to the press the right of reporting parliamentary debates. He counted on the latter concession to hold in check the growing Catholic opposition, which was becoming more and more alarmed by the policy of laissez-faire practised by the emperor in Italy. The government majority already showed some signs of independence. The right of voting on the budget by sections, granted by the emperor in 1861, was a new weapon given to his adversaries. Everything conspired in their favour: the anxiety of those candid friends who were calling attention to the defective budget, the commercial crisis and foreign troubles. Napoleon again disappointed the hopes of Italy, allowed Poland to be crushed, and allowed Prussia to triumph over Denmark regarding the Schleswig-Holstein question. These inconsistencies led opposition leaders to form the Union libérale, a coalition of the Legitimist, Liberal and Republican parties. The Opposition gained forty seats in the elections of May–June 1863, and Adolphe Thiers urgently gave voice to the opposition parties' demands for "necessary liberties". It would have been difficult for the emperor to mistake the importance of this manifestation of French opinion, and in view of his international failures, impossible to repress it. The sacrifice of minister Persigny of the interior, who was responsible for the elections, the substitution for the ministers without portfolio of a sort of presidency of the council filled by Eugène Rouher, the "Vice-Emperor", and the nomination of Jean Victor Duruy, an anti-clerical, as minister of public instruction, in reply to those attacks of the Church which were to culminate in the Syllabus of 1864, all indicated a distinct rapprochement between the emperor and the Left. But though the opposition represented by Thiers was rather constitutional than dynastic, there was another and irreconcilable opposition, that of the amnestied or voluntarily exiled republicans, of whom Victor Hugo was the eloquent mouthpiece. Thus those who had formerly constituted the governing classes were again showing signs of their ambition to govern. There appeared to be some risk that this movement among the bourgeoisie might spread to the people. As Antaeus recruited his strength by touching the earth, so Napoleon believed that he would consolidate his menaced power by again turning to the labouring masses, by whom that power had been established. Assured of support, the emperor, through Rouher, a supporter of the absolutist régime, refused all fresh claims on the part of the Liberals. He was aided by international events such as the reopening of cotton supplies when the American Civil War ended in 1865, by the apparent closing of the Roman question by the convention of September 15, which guaranteed to the Papal States the protection of Italy, and finally by the treaty of October 30, 1864, which temporarily put an end to the crisis of the Schleswig-Holstein question. France was primarily a rural society, in which the social depended on family reputation and extent of land ownership. A limited amount of upward mobility was feasible, thanks to the steadily improved educational system. Students from all levels of society were granted admission to public secondary schools, thus opening a ladder to sons of peasants and artisans. However, whether through jealousy or a general distrust for the higher classes, few working-class families took advantage or wished to see their sons move up and out of the class of origin. Very few sons of poor families sought admission to the 'grandes écoles.' The elite maintained their position while allowing social ascent the professions for ambitious sons of wealthy farmers and small-town merchants. The Ultramontane party were becoming discontented, while the industries formerly protected were dissatisfied with free trade reform. The working classes had abandoned their political neutrality. Disregarding Pierre-Joseph Proudhon's impassioned attack on communism, they had gradually been won over by the collectivist theories of Karl Marx and the revolutionary theories of Mikhail Bakunin, as set forth at the congresses of the International. At these Labour congresses, the fame of which was only increased by the fact that they were forbidden, it had been affirmed that the social emancipation of the worker was inseparable from his political emancipation. The union between the internationalists and the republican bourgeois became an accomplished fact. The Empire, taken by surprise, sought to curb both the middle classes and the labouring classes, and forced them both into revolutionary actions. There were multiple strikes. The elections of May 1869, which took place during these disturbances, inflicted upon the Empire a serious moral defeat. In spite of the revival by the government of the cry of the "red terror", Ollivier, the advocate of conciliation, was rejected by Paris, while 40 irreconcilables and 116 members of the Third Party were elected. Concessions had to be made to these, so by the senatus-consulte of September 8, 1869 a parliamentary monarchy was substituted for personal government. On January 2, 1870 Ollivier was placed at the head of the first homogeneous, united and responsible ministry. The republican party, unlike the country, which hailed this reconciliation of liberty and order, refused to be content with the liberties they had won; they refused all compromise, declaring themselves more than ever decided upon the overthrow of the Empire. The killing of the journalist Victor Noir by Pierre Bonaparte, a member of the imperial family, gave the revolutionaries their long desired opportunity (January 10). But the émeute (uprising) ended in a failure. In a concession to democratic currents, the emperor put his policy to a plebiscite on May 8, 1870. The result was a substantial success for Bonaparte, with seven and a half million in favour and only one and a half million against. However, the vote also signified divisions in France. Those affirming were found mainly in rural areas, while the opposition prevailed in the big towns. The Crimean War ended in 1856, a victory for Napoleon III and a resulting peace that excluded Russia from the Black Sea. His son Louis-Napoléon Bonaparte was born the same year, which promised a continuation of the dynasty. In 1859, Napoleon led France to war with Austria over Italy. France was victorious and gained Savoy and Nice. The commercial treaty with Great Britain in 1860 ratified the free trade policy of Richard Cobden and Michel Chevalier, had brought upon French industry the sudden shock of foreign competition. Thus both Catholics and protectionists discovered that authoritarian rule can be favorable when it serves their ambitions or interests, but not when exercised at their expense. France was officially neutral throughout the American Civil War, 1861–65 and never recognized the Confederate States of America. The United States warned that recognition would mean war. However, the textile industry needed Southern cotton, and Napoleon had imperial ambitions in Mexico, which could be greatly aided by the Confederacy. At the same time, other French political leaders, such as Foreign Minister Édouard Thouvenel, supported the United States. Napoleon helped finance the Confederacy but refused to intervene actively until Britain agreed, and London always rejected intervention. The Emperor realized that a war with the US without allies would spell disaster for France. Napoleon dreamed of building a French economic sphere in Latin America, centered on Mexico. He helped to rapidly promote rapid economic modernization, but his army battled diehard insurgents who had American support. By 1863, French military intervention in Mexico to set up a Second Mexican Empire headed by Emperor Maximilian, brother of Franz Joseph I of Austria, was a complete fiasco. The Mexicans fought back and after defeating the Confederacy the U.S. demanded the French withdraw from Mexico—sending 50,000 veteran combat troops to the border to ram the point home. The French army went home; the puppet emperor did not leave and was executed. From 1861 to 1863 France embarked on colonising experiments in Cochinchina (southern Vietnam) and Annam (central Vietnam). The conquest was bloody but successful, and supported by large numbers of French soldiers, missionaries and businessmen, as well as the local Chinese entrepreneurial element. Mixed domestic gains and losses resulted from European policies. The support France gave to the Italian cause had aroused the eager hopes of other nations. The proclamation of the kingdom of Italy on February 18, 1861 after the rapid annexation of Tuscany and the kingdom of Naples had proved the danger of half-measures. But when a concession, however narrow, had been made to the liberty of one nation, it could hardly be refused to the no less legitimate aspirations of the rest. In 1863, these "new rights" again clamored loudly for recognition: in Poland, in Schleswig and Holstein, in Italy, now united, with neither frontiers nor capital, and in the Danubian principalities. In order to extricate himself from the Polish impasse, the emperor again proposed a congress, with no luck. 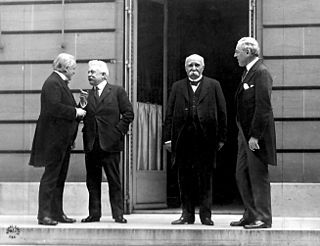 He was again unsuccessful: Great Britain refused even to admit the principle of a congress, while Austria, Prussia and Russia gave their adhesion only on conditions which rendered it futile, i.e. they reserved the vital questions of Venetia and Poland. The success of the 1870 plebiscite, which should have consolidated the Empire, determined its downfall. It was thought that a diplomatic success would make the country forget liberty in favour of glory. It was in vain that after the parliamentary revolution of January 2, 1870, Comte Daru revived, through Lord Clarendon, Count Beust's plan of disarmament after the Battle of Königgrätz. He met with a refusal from Prussia and from the imperial entourage. The Empress Eugénie was credited with the remark, "If there is no war, my son will never be emperor." 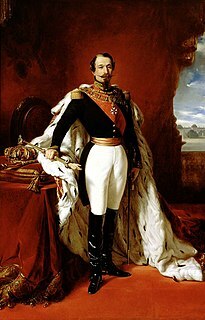 Napoleon III doubled the area of the French overseas Empire; he established French rule in New Caledonia, and Cochinchina, established a protectorate in Cambodia (1863); and colonized parts of Africa. He joined Britain sending an army to China during Second Opium War and the Taiping Rebellion (1860), but French ventures failed to establish influence in Japan (1867) and Korea (1866) . To carry out his new overseas projects, Napoleon III created a new Ministry of the Navy and the Colonies, and appointed an energetic minister, Prosper, Marquis of Chasseloup-Laubat, to head it. A key part of the enterprise was the modernization of the French Navy; he began the construction of fifteen powerful new battle cruisers powered by steam and driven by propellers; and a fleet of steam powered troop transports. The French Navy became the second most powerful in the world, after Britain's. He also created a new force of colonial troops, including elite units of naval infantry, Zouaves, the Chasseurs d'Afrique, and Algerian sharpshooters, and he expanded the Foreign Legion, which had been founded in 1831 and fought well in the Crimea, Italy and Mexico. French overseas territories had tripled in area; in 1870 they covered almost a million square kilometers, and controlled nearly five million inhabitants. While soldiers, administrators, businessmen and missionaries came and left, very few Frenchmen permanently settled in the colonies, apart from some in Algeria. The colonial trade reached 600 million francs, but the profits were overwhelmed by the expenses. However a major goal was the ‘Mission civilisatrice’ the mission to spread French culture, language and religion, and this proved successful. The rise of neighbouring Prussia during the 1860s threatened French supremacy in western Europe. On July 15, 1870, Napoleon's government headed by Émile Ollivier declared war on Prussia. During July and August 1870, the Imperial French Army suffered a series of defeats which culminated in the Battle of Sedan. Napoleon assumed with himself leading the forces it would be a decisive victory, but he was hopelessly over-matched in strategy, tactics, artillery, and training. At Sedan, the remnants of the French field army surrendered, including Napoleon himself who became a prisoner on September 1, 1870. On September 4, the National Assembly formed a new government. Republican deputy Léon Gambetta declared the fall of the Empire and the establishment of the Third Republic. Empress Eugénie fled the Tuileries for Great Britain, effectively ending the Empire, which was officially declared defunct and replaced with the Government of National Defence. The Imperial Standard of Napoleon III. The structure of the French government during the Second Empire was little changed from the First. But Emperor Napoleon III stressed his own imperial role as the foundation of the government. If government was to guide the people toward domestic justice and external peace, it was his role as emperor, holding his power by universal male suffrage and representing all of the people, to function as supreme leader and safeguard the achievements of the revolution. He had so often, while in prison or in exile, chastised previous oligarchical governments for neglecting social questions that it was imperative France now prioritize their solutions. His answer was to organize a system of government based on the principles of the "Napoleonic Idea". This meant that the emperor, the elect of the people as the representative of the democracy, ruled supreme. He himself drew power and legitimacy from his role as representative of the great Napoleon I of France, "who had sprung armed from the French Revolution like Minerva from the head of Jove". The anti-parliamentary French Constitution of 1852 instituted by Napoleon III on 14 January 1852, was largely a repetition of that of 1848. All executive power was entrusted to the emperor, who, as head of state, was solely responsible to the people. The people of the Empire, lacking democratic rights, were to rely on the benevolence of the emperor rather than on the benevolence of politicians. He was to nominate the members of the council of state, whose duty it was to prepare the laws, and of the senate, a body permanently established as a constituent part of the empire. One innovation was made, namely, that the Legislative Body was elected by universal suffrage, but it had no right of initiative, all laws being proposed by the executive power. This new political change was rapidly followed by the same consequence as had attended that of Brumaire. On 2 December 1852, France, still under the effect of Napoleon's legacy, and the fear of anarchy, conferred almost unanimously by a plebiscite the supreme power, with the title of emperor, upon Napoleon III. The Legislative Body was not allowed to elect its own president or to regulate its own procedure, or to propose a law or an amendment, or to vote on the budget in detail, or to make its deliberations public. Similarly, universal suffrage was supervised and controlled by means of official candidature, by forbidding free speech and action in electoral matters to the Opposition, and by a gerrymandering in such a way as to overwhelm the Liberal vote in the mass of the rural population. The press was subjected to a system of cautionnements ("caution money", deposited as a guarantee of good behaviour) and avertissements (requests by the authorities to cease publication of certain articles), under sanction of suspension or suppression. Books were subject to censorship. In order to counteract the opposition of individuals, a surveillance of suspects was instituted. Felice Orsini's attack on the emperor in 1858, though purely Italian in its motive, served as a pretext for increasing the severity of this régime by the law of general security (sûreté générale) which authorised the internment, exile or deportation of any suspect without trial. In the same way public instruction was strictly supervised, the teaching of philosophy was suppressed in the lycées, and the disciplinary powers of the administration were increased. For seven years France had no democratic life. The Empire governed by a series of plebiscites. Up to 1857 the Opposition did not exist; from then till 1860 it was reduced to five members: Darimon, Émile Ollivier, Hénon, Jules Favre and Ernest Picard. The royalists waited inactive after the new and unsuccessful attempt made at Frohsdorf in 1853, by a combination of the legitimists and Orléanists, to re-create a living monarchy out of the ruin of two royal families. ^ John B. Wolf, France: 1815 to the Present (1963) online p 275. ^ a b c d e f g h i j k l m n o p q r One or more of the preceding sentences incorporates text from a publication now in the public domain: Esmein, Adhémar (1911). "France § History" . In Chisholm, Hugh. Encyclopædia Britannica. 10 (11th ed.). Cambridge University Press. pp. 869–921. ^ Sophie Heywood, "‘The Apostolate of the Pen’: MGR De Ségur and the Mobilization of Catholic Opinion in Second Empire France." French History 26.2 (2012): 203-221. ^ Anthony Steinhoff, "The Administration of Protestant Affairs in France During the Second Empire" Proceedings of the Western Society for French History (1999), Vol. 26, pp 192-203. ^ Patrick J. Harrigan, "Secondary education and the professions in France during the Second Empire." Comparative Studies in Society and History 17.3 (1975): 349-371. ^ March, Thomas (1896). The history of the Paris Commune of 1871. London, S. Sonnenschein & co., ltd.; New York, Macmillan & co. p. 8. ^ Howard Jones (1999). Abraham Lincoln and a New Birth of Freedom: The Union and Slavery in the Diplomacy of the Civil War. U of Nebraska Press. p. 183. ^ William E. Hardy, "South of the border: Ulysses S. Grant and the French intervention." Civil War History 54.1 (2008): 63-86. ^ Michele Cunningham, Mexico and the foreign policy of Napoleon III (Springer, 2001). ^ Douglas Porch, The French Foreign Legion: A Complete History of the Legendary Fighting Force (2010) pp 57-168. ^ Herbert Ingram Priestley (2018). France Overseas: A Study of Modern Imperialism. p. 192. ^ Mathew Burrows, "‘Mission civilisatrice’: French cultural policy in the Middle East, 1860–1914." Historical Journal 29.1 (1986): 109-135. ^ a b Wiriath, Paul. A Short History of France, Illustrated (London: The Encyclopædia Britannica Company, 1914), p. 107. This was a favorite maxim of Napoleon III. Tulard, Jean (ed. ), Dictionnaire du Second Empire, Paris, Fayard, (1995) 1348 p.
Brown, David. "Palmerston and Anglo–French Relations, 1846–1865." Diplomacy and Statecraft 17.4 (2006): 675-692. Holmes, R., The Road to Sedan: The French Army 1866–70 (1984). Wetzel, David. A duel of giants: Bismarck, Napoleon III, and the origins of the Franco-Prussian War (2003). Price, Roger. "Napoleon III and the French Second Empire: A Reassessment of a Controversial Period in French History." Historian (1996) #52 : 4-10. Spitzer, Alan B. "The Good Napoleon III." French Historical Studies 2.3 (1962): 308-329. 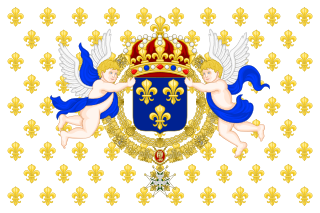 Wikimedia Commons has media related to Second French Empire. Georges-Eugène Haussmann, commonly known as Baron Haussmann, was a prefect of the Seine Department of France chosen by Emperor Napoleon III to carry out a massive urban renewal program of new boulevards, parks and public works in Paris that is commonly referred to as Haussmann's renovation of Paris. Critics forced his resignation for extravagance, but his vision of the city still dominates central Paris. The history of rail transport in France dates from the first French railway in 1823 to present-day enterprises such as the AGV. Edouard Drouyn de Lhuys was a French statesman and diplomat, born in Paris. He was educated at the Lycée Louis-le-Grand. The scion of a wealthy and noble house, he excelled in rhetoric. He quickly became interested in politics and diplomacy. Justin Napoléon Samuel Prosper de Chasseloup-Laubat, 4th Marquis of Chasseloup-Laubat was a French artistocrat and politician who became Minister of the Navy under Napoleon III and was an early advocate of French colonialism. The Second French Empire remained officially neutral throughout the American Civil War and never recognized the Confederate States of America. The United States of America warned that recognition would mean war. France was reluctant to act without British collaboration, and the British Empire rejected intervention. Olivier Émile Ollivier was a French statesman. Starting as an avid republican opposed to Emperor Napoleon III, he pushed the Emperor toward liberal reforms and in turn came increasingly into Napoleon's grip. He entered the cabinet and was the prime minister when Napoleon fell. 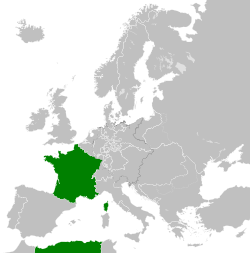 France–Mexico relations refers to the diplomatic relations between France and Mexico. Both nations are members of the G-20 major economies, Organisation for Economic Co-operation and Development and the United Nations.